Form W2 is the annual statement of earnings provided to all employees required for IRS and State tax reporting. Who distributes RIT’s Form W2? ADP is a third party provider who prints and maintains form W2 electronically. How do employees receive form W2? Employees may receive their Form W2 either by US Postal Service or electronically through the ADP website. 1. Enhanced security: Employees will need to register with ADP one time, providing information to prove their identity. The employee can choose to receive their W2 electronically ONLY, with no printed copy sent via US mail. 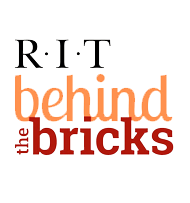 This prevents undeliverable W2s from being returned to RIT for further action. 2. ADP is accessible from anywhere: You can conveniently access your W2 online from anywhere at any time. 3. Earlier delivery: Online delivery provides access to your W2 earlier than the traditional mail process. Your W2 may be available prior to January 31, 2019. 4. Sustainability: Reduces paper consumption. What if I already have an ADP login from a prior job? Please set up new access using RIT’s information. Who can I call if I get locked out during registration? You may call Kitty Stappenbeck at 5-5580 or Bob Spring at 5-5582. You will receive an email with a one-time verification code to use.